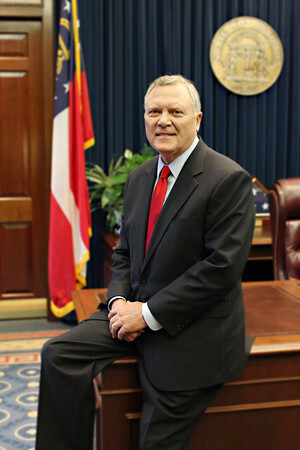 During his inaugural address this past Monday Georgia Governor Nathan Deal pledged, “We must justify every cent that government extracts from our society.” On Wednesday afternoon the governor was back before the General Assembly with a few more eye-popping details. Deal used his first State of the State address to announce 14,000 mostly vacant state government positions will be eliminated and state employment will be frozen at current levels. In addition, the governor’s first budget reveals that many programs will be curtailed and some will be entirely gone. “Many politicians have long talked about reducing the size of government,” Deal said. “My friends, we are doing it.” The governor told agencies to reduce current spending by 4% and to expect 7% average budget cuts in the fiscal year that starts July 1. 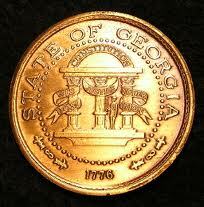 Governor Deal proposed no new taxes or increases to existing taxes. The former nine-term congressman did not mention proposals made last week by the Special Council on Tax Reform and Fairness. The 4% current year budget reduction should be easy to achieve because the state has withheld funds from monthly payments made to agencies since last summer. Deal said 7% reductions next year would not be “uniform across agencies, but are designed to give priority funding to core responsibilities.” Some will be reduced more, such as 12.3% at Georgia Public Broadcasting, and some will receive budget increases. Deal presented the General Assembly with an $18.162 billion fiscal 2012 budget proposal that is 3.75% and $273 million more than fiscal 2011. The governor said teacher furloughs should end and HOPE scholarship grants cannot exceed funding available from the Georgia lottery. “We must act now to maintain the Georgia jewel known as HOPE,” Deal said. The state Department of Education would be almost unchanged at $6.994 billion but other state education spending would decline $498 million. The largest cuts are $275 million at the Student Finance Commission because of anticipated lower lottery fund payments and $118 million at the Board of Regents which would have a $1.723 billion budget. Reduced lottery dollars would trim Bright from the Start by $19.7 million. The Technical College System would be reduced by $18.9 million to $300 million. TCS has been under pressure during the recession because enrollments are going up and dollars are going down. Health care spending would increase $747 million to $4 billion, a number that will continue to grow due to federal mandates that will eventually add 650,000 Georgians to the Medicaid program. “This mandated expansion of service will cost Georgia Medicaid an additional $2.5 billion in state funds alone over the next ten years,” Deal said. Health care costs are 22.5% of state expenditures. The Department of Community Health would receive $642 million more to $2.715 billion, Behavior Health and Developmental Disabilities would receive $111 million more to $876 million, and Human Services would remain nearly unchanged at $469.8 million. Corrections reform was a major theme of Deal’s inaugural address and that emphasis carried forward into his proposed budget. The state Department of Corrections would receive $64.6 million more to $1.036 billion. Juvenile justice would receive $13.2 million more to $279 million and Public Safety would receive $6.2 million more to $107 million. Additional corrections dollars would fund many ideas. Deal favors expansion of day reporting centers along with the creation of new drug, DUI and mental health courts, along with new probation and treatment options. Some public safety programs would absorb cuts, but overall total public safety spending would increase $82.8 million to $1.542 billion. The Department of Economic Development budget would increase 43%. It would receive $12.5 million more to $41 million. Deal would fund part of that increase with $9.288 million in tobacco settlement funds; the department received no tobacco settlement funds last year. Statewide courts would be spared budget reductions. The Supreme Court budget would increase slightly to $8.055 million. There would be no reductions to the Superior Courts, the Court of Appeals and the Juvenile Courts. 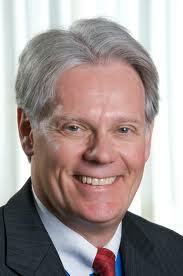 Prosecuting attorneys would receive $1.8 million more to $57.5 million. A lengthy list of possible losers includes nothing for the sports, music and aviation halls of fame which have been budget drains for years. There would be no state funds for the Civil War Commission, the State Medical Education Board, the Council for the Arts and the State Properties Commission. The biggest piece of a proposed bond package is $231 million for K-12 construction, equipment and school buses. Another $15 million would fund STEM charter schools that specialize in science, technology, engineering and mathematics. Deal proposed bond packages to fund reservoirs, deepen the Savannah harbor, make repairs to universities and upgrade technical colleges.